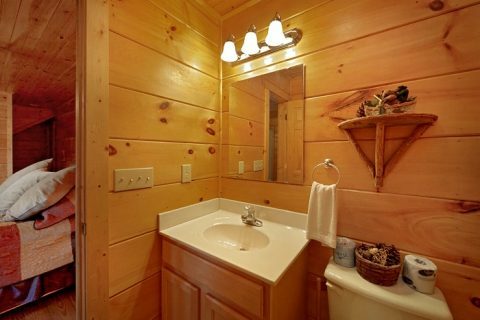 Looking to find cabins in Pigeon Forge for rent? 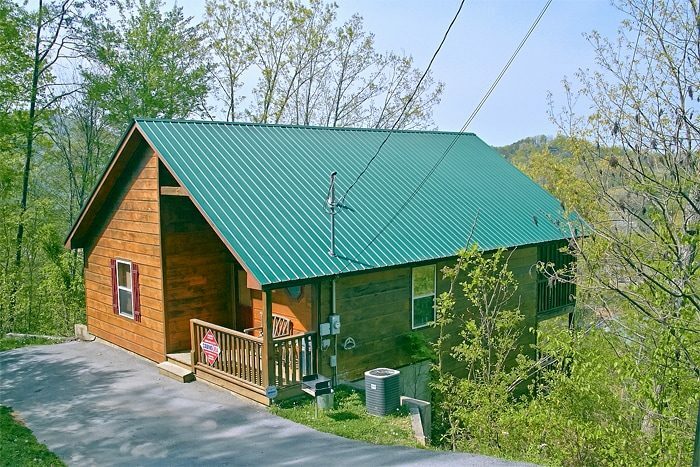 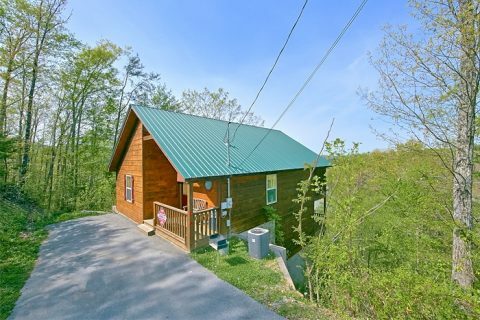 Check out "Alone At Last," a beautiful 1-bedroom cabin provides you and your guests with not only comfortable cabin amenities but easy access to Downtown Pigeon Forge attractions, shows, and restaurants as well. 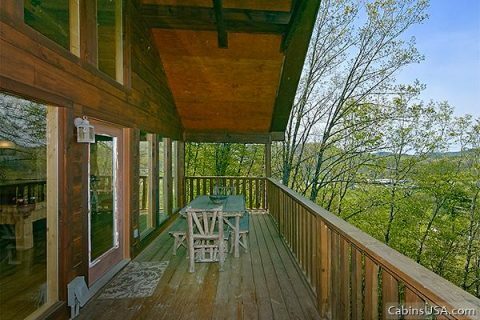 Visitors come from all over the country to the Smoky Mountains for the scenic views. 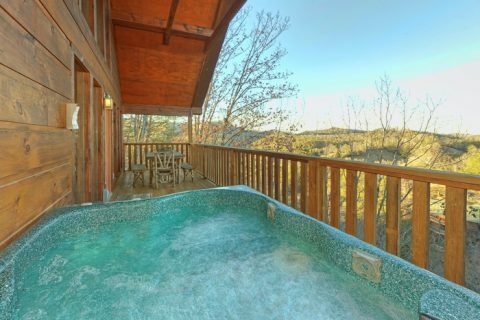 "Alone at Last" gives you plenty mountain views to enjoy from indoors through the large glass windows in the living room as well as from the cabin deck with a hot tub. 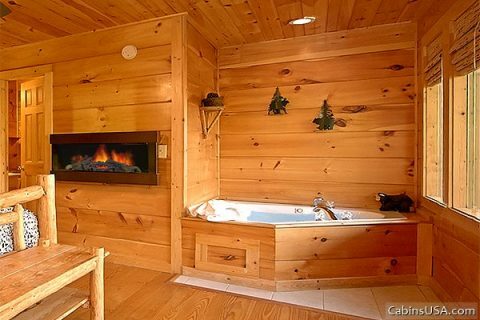 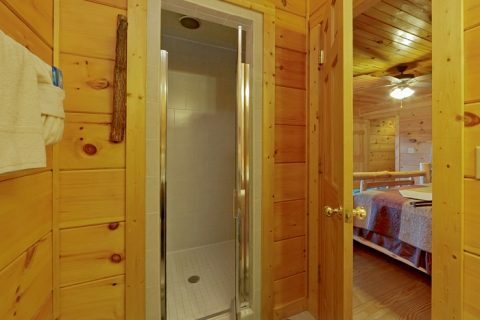 The lower level of this lovely cabin features a king-size bedroom suite with a jacuzzi, big screen television, extra closet space and private doors leading out to the lower deck! 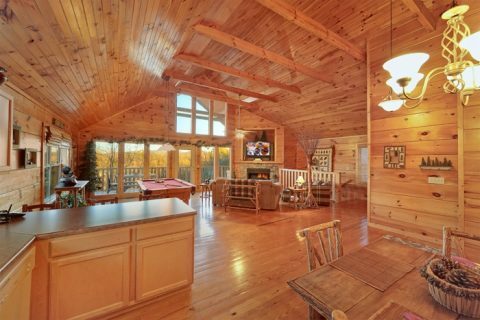 Additionally, this cabin features a 3D television as well as free wireless Internet for streaming games, videos, movies, and more. 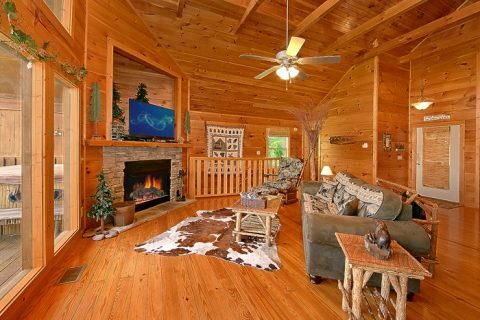 The oversized main level is furnished with a custom designed pool table, lavish living room furnishings, a gas log stone fireplace, a sleeper sofa, a jukebox, beautifully carved dining room furniture, and a fully equipped kitchen. 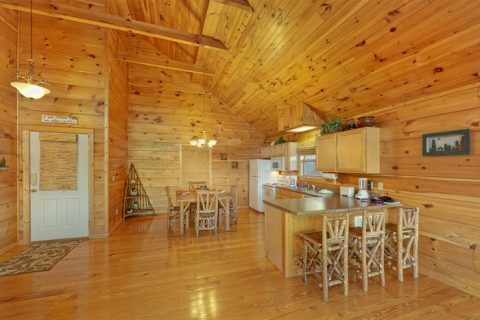 "Alone at Last" comfortably sleeps 4, making it the perfect cabin for couples or small groups looking to vacation in the mountains. 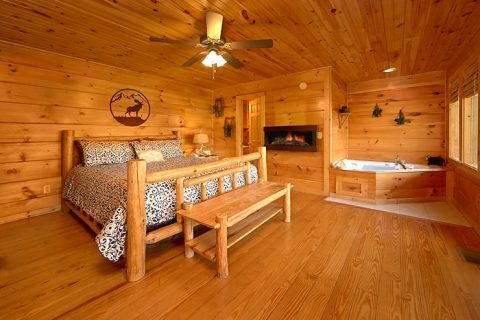 If you need more lodging space for your vacation needs, you can book “Ah-Mazing” another one bedroom cabin to sleep an additional 4 guests in comfort and luxury. 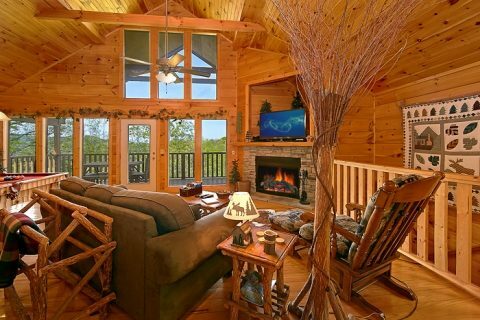 Since this cabin offers peaceful seclusion at the top of a hill, four-wheel drive vehicles are encouraged during the winter months. 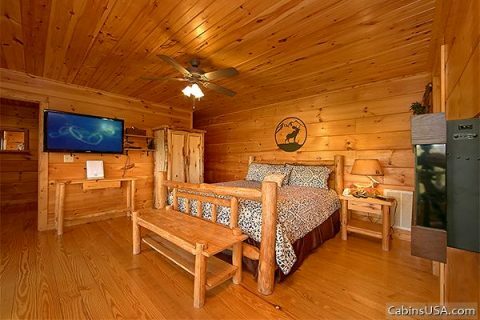 Book "Alone at Last" your cabin in Pigeon Forge, TN for rent ONLINE with Cabins USA and get immediate SAVINGS!